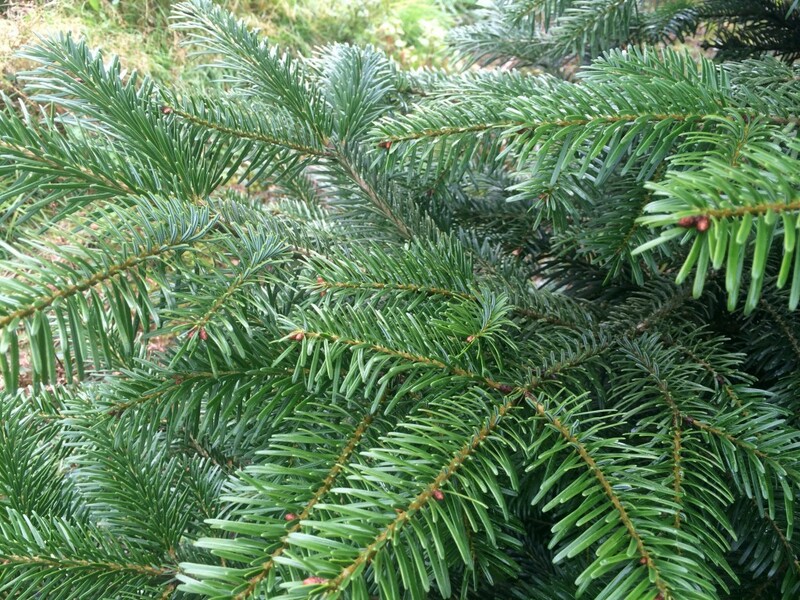 At Christmas Wreaths Direct we use a wide variety of different firs, all grown by Nick. A mix of fir varieties gives depth and texture to the wreath or garland – as well as smelling wonderful and providing a mix of colour. 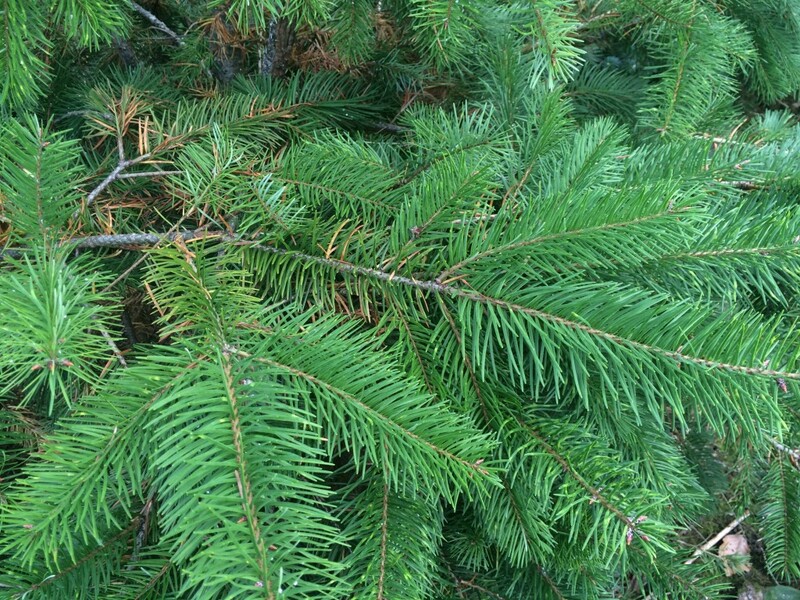 We do not use any spruce as all spruce varieties drop needles. All trees are replaced at least one-for-one when harvested and all are non needle-dropping varieties; see if you can identify them in your wreath. Noble, as it’s name suggests, is the most majestic of firs. Deeply scented, bushy and with a silver-blue hue it adds luxury and depth to your wreath. 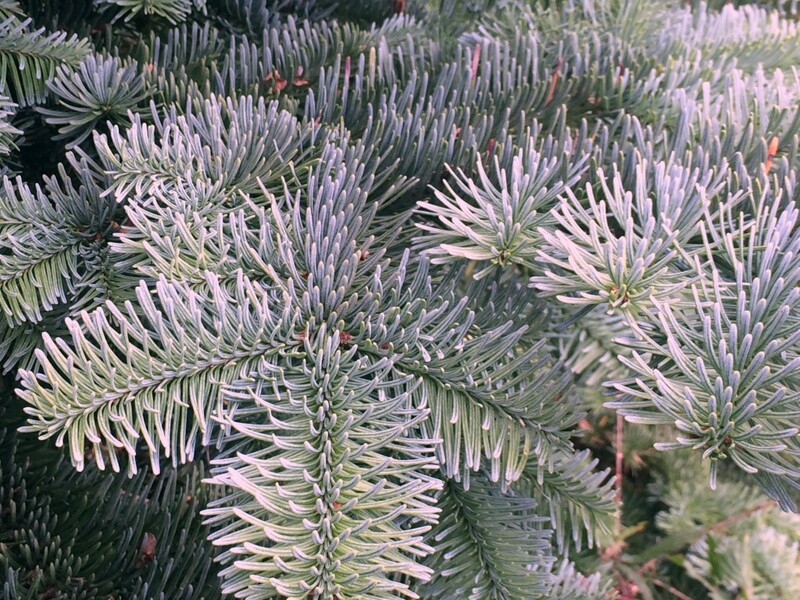 Nordmann fir is popular for Christmas trees and is a very deep forest green, but sometimes the new growth can be a very light, almost acid green. Being flatter with less depth it reflects the light the best so looks lovely mixed in with bushier fir. Trees often look very uniform and perfect. Look out for it in wreaths and swags. 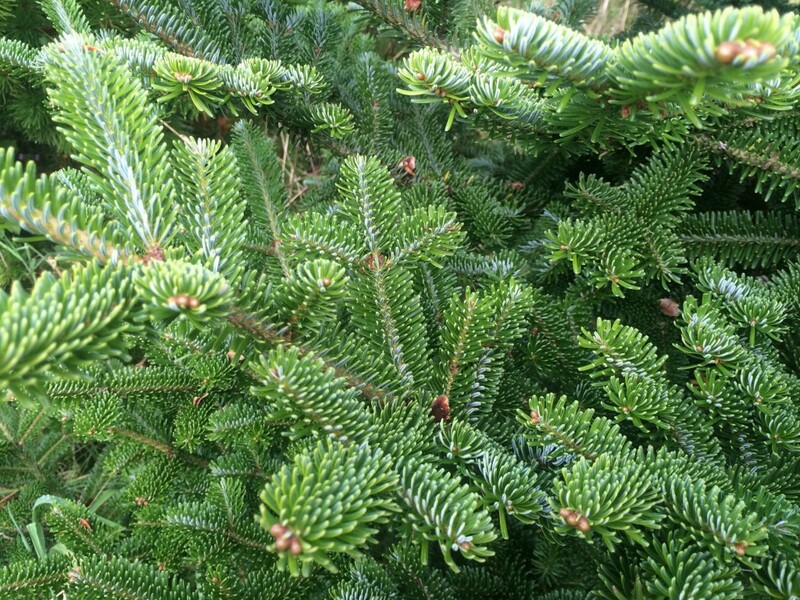 Fraser fir is lightly scented and more delicate. The shades of geen vary, according to how much light the tree has had and it’s age, and there is always a silver underside. Fraser and Korean firs both produce cones even when young – only 3-6ft tall. It adds a lightness to the Noble and looks especially good with eucalyptus. 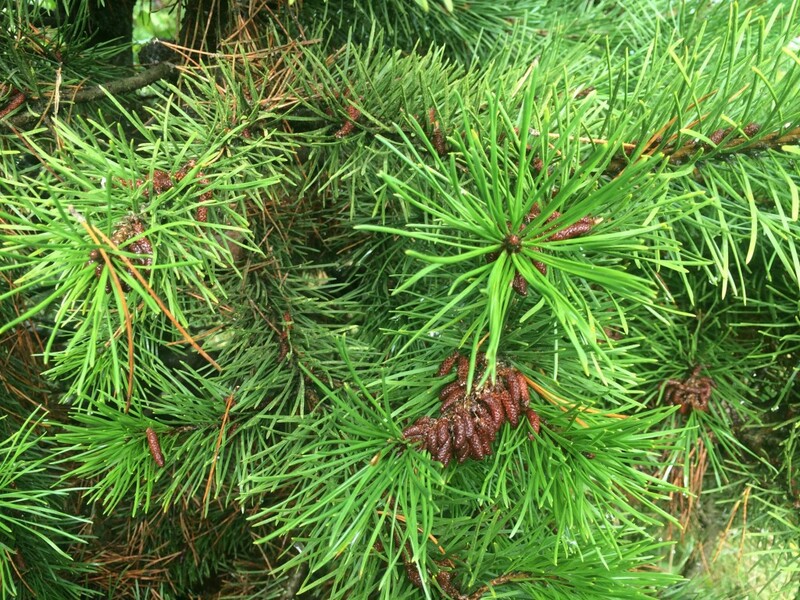 Korean fir. 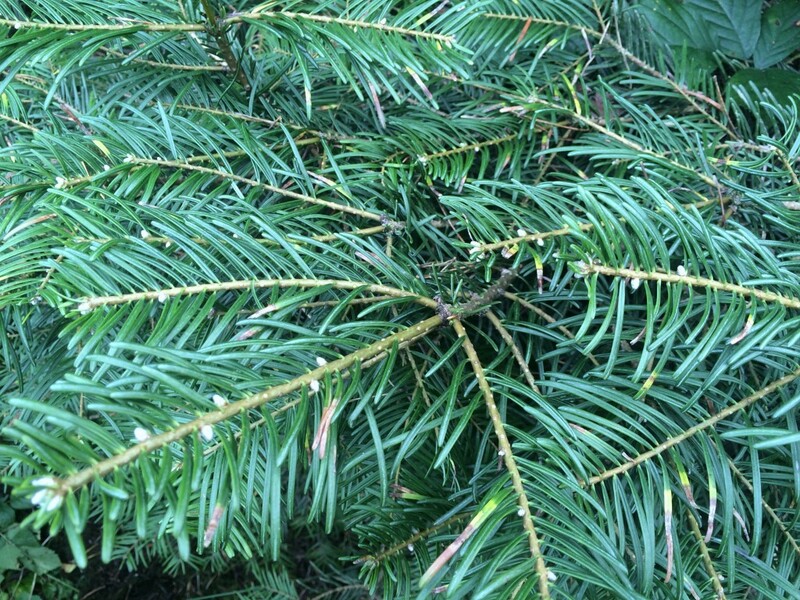 Similar to Fraser, mid-green with a silver underside, Korean fir has distictive little pink buds at the end of each branch which look like twinkling lights. Lightly scented, very pretty and delicate, and like Fraser, produces cones even when very young. Looks amazing with eucalyptus. Look out for it in eucalyptus wreaths and swags. Douglas fir. Flatter branches and needles like Nordmann – although more mature trees can be bushier – but a very matt appearance and a lighter green. It’s citrus scent when rubbed is amazing! Look out for it in swags and garlands. 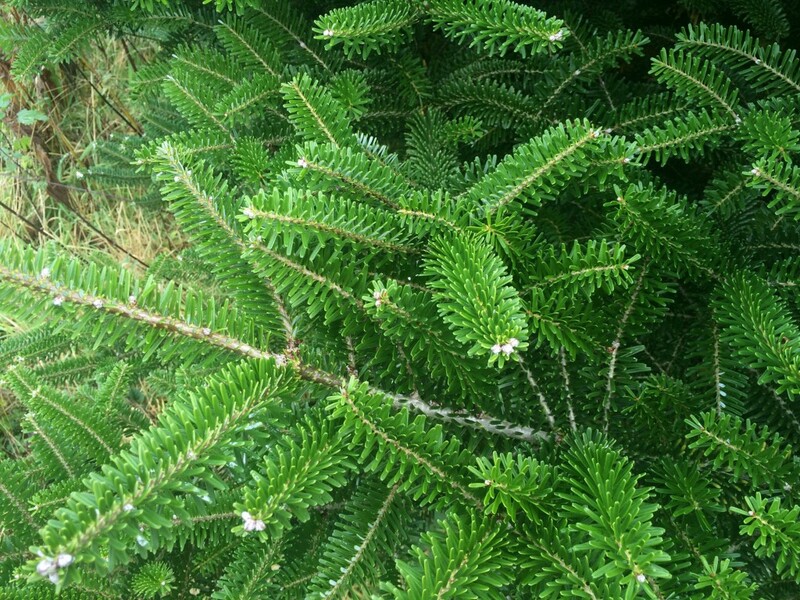 Concolor fir. Mid-green also with an amazing citrus scent, the branches have a distinctive ‘bottle brush’ look with needles on the underside of each branch. Scots pine. Bushy, scented and with beautiful cones, pines add a different texture to wreaths and garlands. Scots Pine is much bluer than other pines, especially when young, and has more movement in the branches. Scots Pine is the only Christmas tree native to the UK. Lodgepole pine. 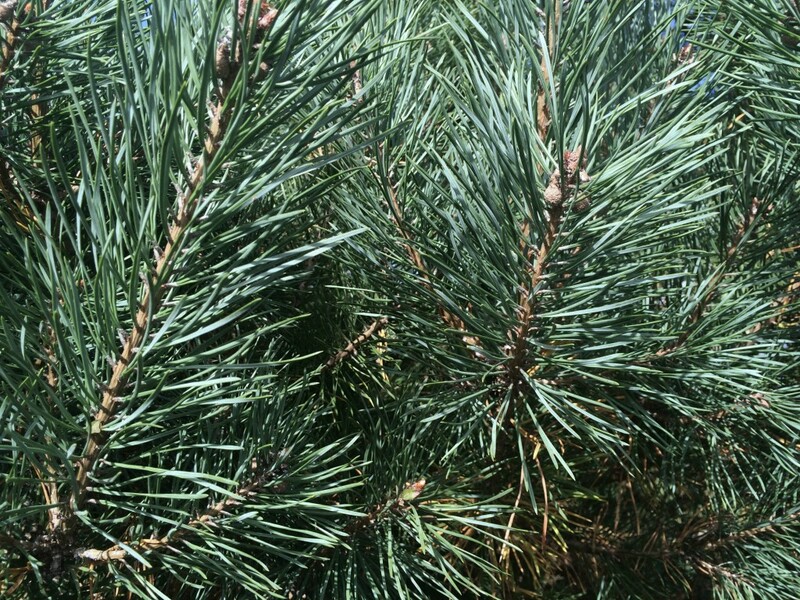 Scented and often full of sap, with small cones forming on the ends of branches, this pine is much stiffer and it’s movement less fluid than Scots Pine. It’s colour is also much greener. Looks good in swags.